Every product has some value for the customer, the purpose of fulfilling the different demands can be unique but sometimes brands make products which confuse customers before buying them. Imagine someone is selling you curtains that let people see from them or a chair to which sitting cant be done. This £35 swimsuit has a studded neckline and Bardot sleeves, with a cutout detail over the stomach. 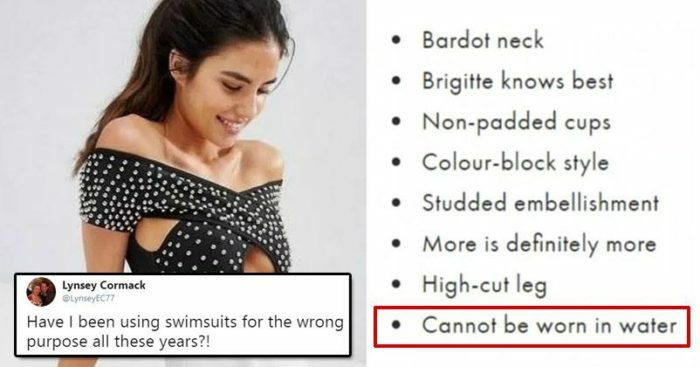 While some got confused by seeing holes in this swimwear, others are mocking ASOS after reading the details of this product in which there is clearly written that these cannot be washed and is dry-clean adding insult to injury. This started a new topic for Twitterati to talk about and users shares their views on this dress. I guess they made it only for those sweet insta pictures. It's white. I bet they are afraid that it turn transparent when wet. Have I been using swimsuits for the wrong purpose all these years? 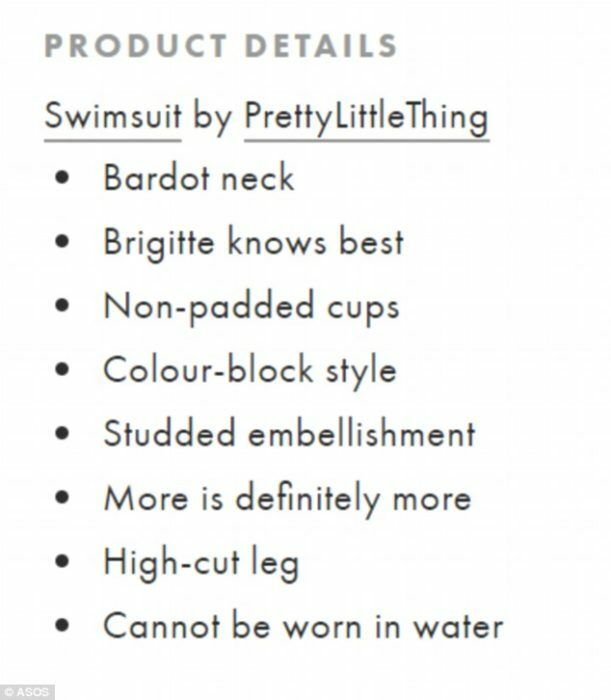 But this has created a new demand for more such swimwear for wearing when you don’t actually wanna swim in. However, it is not the first time when ASOS has raised some eyebrows with its designs. What are your thoughts on this outfit? Do let us know in comments.